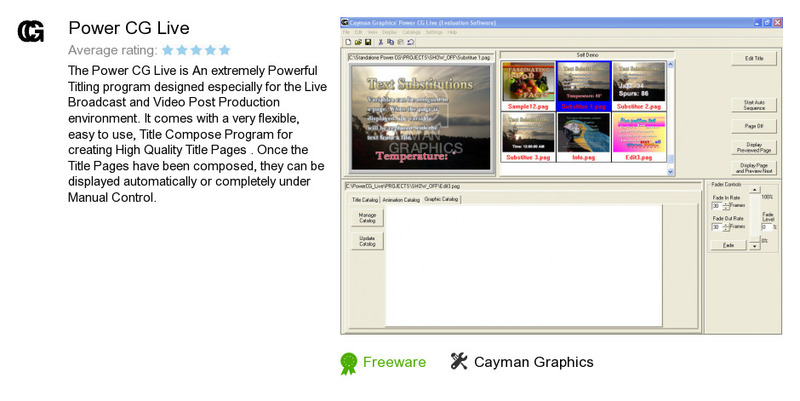 Power CG Live is a program developed by Cayman Graphics. We know of versions 6.2, 6.1, 6.0, 6.0 beta, 5.7. Version 6.2 is available for free download at our site. Power CG Live installation package has a size of 34,420,885 bytes. Cayman Graphics also publishes McCG and Power CG Plus.